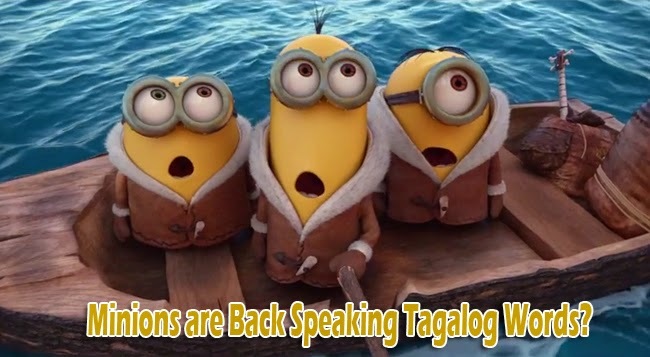 The Minions are back, making the Netizens unable to hold off their excitement as the Universal Pictures and Illumination Entertainment had brought out the teaser trailer of their very own spin off self entitled movie ‘Minion’ and had caught the Filipinos’ attention because they now seemed to speak some Tagalog. The teaser trailer shows the history of the people’s well beloved loyal Minions and their deep desire to serve the most villanous living being in the planet. The teaser’s narrator tells the story that the yellow fluffy creatures have been living on earth since the prehistoric times. Back then they already had names individually and have the wittiness viewers had well loved. Their goal is to serve the most despicable master and it had been easy for them to find one, but it was harder to keep one. They had lost their purpose and in fear of perishing, three Minions braved to a journey to find a master they can all serve. Kevin, Stuart and Bob reached reached New York in 1968 just 42 years BG ( Before Gru). This makes it clear as to where the Minions came from. Some netizens voiced out that they thought Gru made the minions with his scientific experiments. In the very short clip posted in ColumbiaPicturesPhils YouTube channel, some Pinoys had posted what seemed to them as Tagalog words spoken by the Minions. At 0:26 Bob seemed to say "SILA banana", at 0:48 a Minion seemed to shout "MGA TROPA!" at the other Minion who released the pyramid and went down on the Egyptians, ultimately losing their Egyptian master. "ABANTE!" is barely audible at 0:50. The clip also shows that the Minions seemed to play a part in some historical events in the world. Many had voiced out their excitement over the movie that will be on local cinemas on July 2015.